Microsoft Office vs Apple iWork vs Google Docs: which is best? Is Microsoft Office still king of the office? Microsoft is in the process of dramatically increasing the functionality of Office 365, adding additional security and storage space. Google Docs has become one of the go-to web-based services for writing, creating a slideshow and so on, with no subscription or specific operating system needed. For many years Apple has been seen as a company for those who are "creative", offering top of the range creative software such as Final Cut and Sound Track. As businesses became more interested in Apple's technology – mainly because of the iPad – the company has had to up its game in terms of office software, improving the iWork suite through a serious of both visual and functional updates. Unlike Apple, Microsoft has never had the problem of being the underdog in terms of businesses using its software and hardware. An increasing amount of Microsoft's revenue comes from enterprise, with over one billion people using Office. That hasn't stopped the company from innovating, adding new visual and functional changes over the years. In 2014, Microsoft brought Office to the iPad, again increasing the reach and usage of the software. Google's offering, Google Docs, came about after the firm's success with email. The software is, like all things Google, free to use and relies on a network connection (unless you run the Chrome browser, in which case you can set it up for offline access, albeit with some important features missing such as spell checking, for example). Google recently introduced the Chromebook, opening up manufacturing to various OEMs just as it did with Android. While some may see the need for an internet connection to be a flaw, it's not so much of an issue with the prevalence of Wi-Fi these days, and faster mobile connections (4G LTE) becoming more and more commonplace, especially in and around cities. But which of these services is the best? All three of the big companies have stepped up their game, meaning that the differences are becoming more and more difficult to see – but don't be fooled, they are still present. In this article, we're presenting our opinion on who wins and who loses this particular battle. First off, on the basis of the usability of each service, the three are too close to call. Apple and Microsoft's solutions work fully offline, whereas the same can't be said for Google's, and that is perhaps the one major difference between them all for the everyday user – with the stress on everyday. If you need to write five hundred words quickly or create a slideshow, all three options will work quickly and effectively. The biggest advantage of Apple's solution, iWork, is that it ties in so well with its other apps and services. 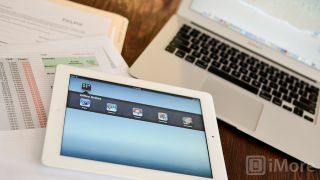 iCloud provides constant syncing between the OS X and iOS versions of iWork, which includes Pages, Keynote and Numbers. The integration also extends to Apple TV, a device that is becoming more and more popular in both homes and the workplace. "Beaming" slides and the whole screen via AirPlay could set Apple's hardware and software apart, especially when the competition has no comparable service. iCloud's ability to sync between devices means that projects can be started on the go and finished in the office, all without losing a single bullet point. Apple offers a tiered data storage system which boasts up to 200GB of storage for customers at significantly cheaper prices than Dropbox and Google Drive.